Jens Pet Products is a Melbourne-based family business with unique and handcrafted products, original ideas and quality service We are pet product wholesaler, distributor and manufacturer. 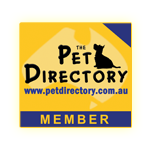 From 1933 to 2001, The Double family had a Pet Shop in The Queen Victoria Market in F Shed. Trevor and Pamela both worked there as children, growing up to then manage the business for many years. Come visit us in our factory warehouse. Please call to confirm time. We are happy to arrange after business hours for your convenience. We are all about serving you!